I think I found my new favorite lippies! 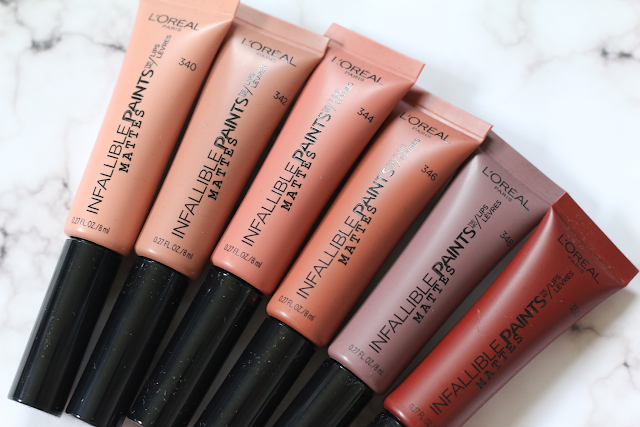 L'Oreal has came out with new Infallible Paints in a matte finish! I was extremely excited to see the new shades. 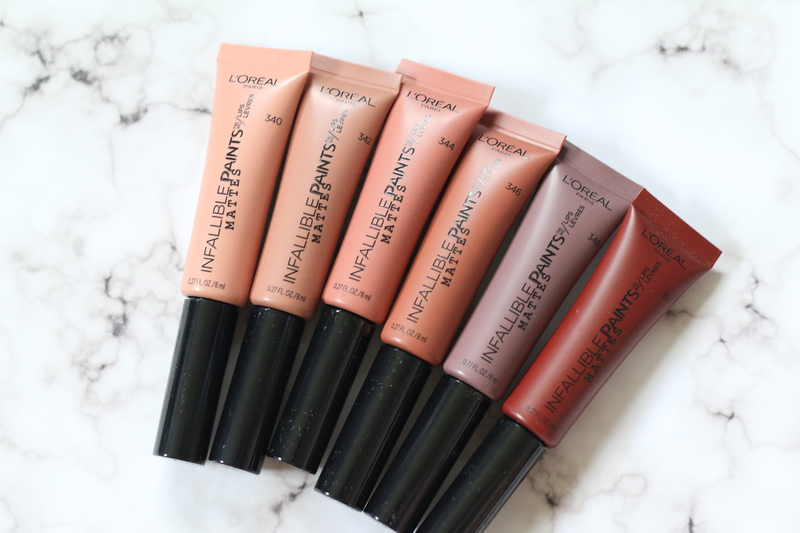 There is 6 shades to choose from and they are all very neutral and super easy to wear for a everyday look. They also came out with some metallic shades which I will be doing a review on within the next day or two. With these lip paints, they come with a wand so they are super easy to apply. They have such a smooth feel to them on the lips. They are matte but they do not dry down on the lips. I am also impressed with how pigmented these are. In the swatches below, I literally just swiped once on my arm and you can see how opaque the colors are. They also show up opaque on the lips as well. 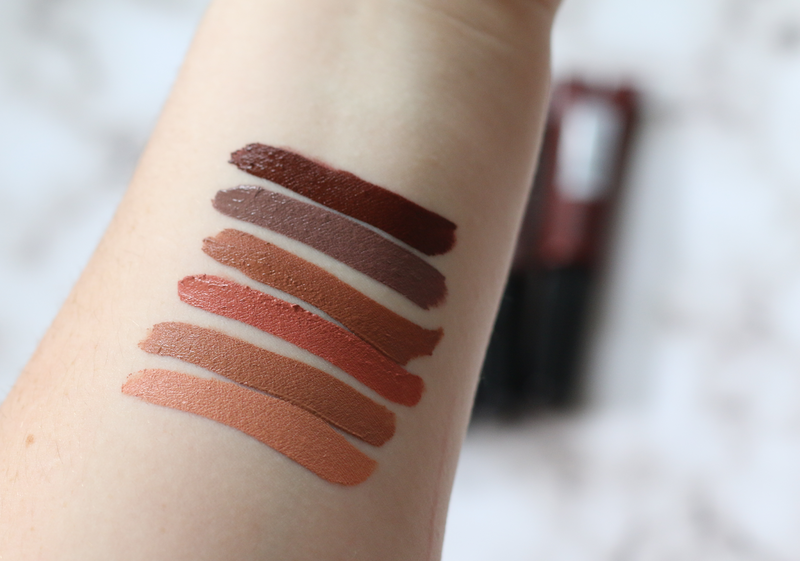 Out of all the matte lippies I have tried recently, these are for sure on my favorites list. Like can we talk about how stunning these shades are? Most of them are very warm so its right on trend with all those warm eye shadow palettes that everyone has been obsessing over lately. Now you can have a warm lip to match your warm eye look! I just can't get over how amazing the formula is on these. I highly recommend picking a few up! They do retail for $9.99 and can currently be bought at www.ulta.com. Wow, these are crazy pigmented! I'm impressed! Do you find them drying?